I don't believe I can really do without teaching. The reason is, I have to have something so that when I don't have any ideas and I'm not getting anywhere I can say to myself, "At least I'm living; at least I'm doing something; I am making some contribution" -- it's just psychological. When I was at Princeton in the 1940s I could see what happened to those great minds at the Institute for Advanced Study, who had been specially selected for their tremendous brains and were now given this opportunity to sit in this lovely house by the woods there, with no classes to teach, with no obligations whatsoever. These poor bastards could now sit and think clearly all by themselves, OK? So they don't get any ideas for a while: They have every opportunity to do something, and they are not getting any ideas. I believe that in a situation like this a kind of guilt or depression worms inside of you, and you begin to worry about not getting any ideas. And nothing happens. Still no ideas come. Nothing happens because there's not enough real activity and challenge: You're not in contact with the experimental guys. You don't have to think how to answer questions from the students. Nothing! In any thinking process there are moments when everything is going good and you've got wonderful ideas. Teaching is an interruption, and so it's the greatest pain in the neck in the world. And then there are the longer period of time when not much is coming to you. You're not getting any ideas, and if you're doing nothing at all, it drives you nuts! You can't even say "I'm teaching my class." If you're teaching a class, you can think about the elementary things that you know very well. These things are kind of fun and delightful. It doesn't do any harm to think them over again. Is there a better way to present them? The elementary things are easy to think about; if you can't think of a new thought, no harm done; what you thought about it before is good enough for the class. If you do think of something new, you're rather pleased that you have a new way of looking at it. The questions of the students are often the source of new research. They often ask profound questions that I've thought about at times and then given up on, so to speak, for a while. It wouldn't do me any harm to think about them again and see if I can go any further now. The students may not be able to see the thing I want to answer, or the subtleties I want to think about, but they remind me of a problem by asking questions in the neighborhood of that problem. It's not so easy to remind yourself of these things. So I find that teaching and the students keep life going, and I would never accept any position in which somebody has invented a happy situation for me where I don't have to teach. Never. Until quite recently, cognitive science steered clear of education, while the sciences of education tended to ignore cognitive science. Things have changed over the last few years, and there is now quite a lot of interaction between the two fields. Between 2009 and 2010, and coherently with it’s editor in chief’s claim that “policy-making needs science” (Alberts, 2010), the prestigious journal Science has dedicated three special issues to science-informed education. Just before that, in 2007, were born the Mind, Brain, and Education conference, collaboration, and journal (Fischer, et al. 2007); during the 2000 decade, while the international organization OECD-CERI was achieving two programs on education and the brain, with relative publications (OECD, 2002, 2007), the ESRC and the Royal Society were producing reports on neuroeducation for the UK (ESRC-TLRP, 2000, 2008; Frith and Blakemore, 2005; Royal Society, 2010); and in the last two years, the EARLI association has birth to a special SIG on Neuroeducation and a new Journal on Neuroscience and education has seen the light. Education, cognitive science and neuroscience have thus become active arenas for the encounter of science and society. In the literature cited above, the sciences that are meant to go at the encounter with education include neuroscience (with a certain rhetorical preeminence today), but more generally encompass all the sciences of learning as a cognitive, social, technologically-aided function: from “classical” cognitive science fields (psychology, AI, linguistics, etc.) to the biological underpinnings of cognitive functions, to more social sciences such as anthropology and social psychology, to studies in the domain of technology and education and in the domain of education itself. The accent has been put in particular on neuroscience, as suggested by the spreading of neuro-labels: neuroeducation, education and neuroscience, educational neuroscience. These labels remind us how trendy neuroscience is, in our days - they are indeed in the good company of neuroeconomy, neuromarketing, neurolaw, and many other neuro-manias (Legrenzi and Umiltà, 2010). A new field of research is then seeing the light, accompanied by the involvement of institutions and by a growing public interest – both on the side of educators and policy-makers. A body of knowledge is growing together with the multiplication of publications in specialized journals like Mind, Brain, and Education, Trends in Neuroscience and Education, Neuroeducation, but also Educational Reviewer or PNAS, Nature, Science … The field is variously named “neuroeducation”, “mind, brain, and education”, “educational neuroscience”, “new learning sciences”. These names point at the idea that the sciences of the mind, brain and learning can produce useful knowledge for education. It should not be forgotten that these are not the only sciences in town, and that a broader claim is at stake: that education (just as justice, agriculture, energy policies, medicine, and policy-making in general) needs science – a methodologically rigorous process of evaluation and testing of claims in order to come to informed decisions. - better learning, in the sense of the production of interventions that work. In other terms, education is not a natural science: it is a form of design, hopefully grounded on relevant knowledge. We do not study education only for gaining a better understanding about how people educate their youth, or about the evolution of social institutions; as in the case of medicine: research on education has a practical, applied aim: try to make up for what the human mind is innately bad at. Once we have established that a certain encounter is (or many encounters are) happening within a certain perimeter, it is reasonable to ask: Why behavioral-brain sciences and education have good reasons to interact? Why now? 1. Learning is a pervasive cognitive function, especially developed in humans; people learn without formal instruction because learning is in many respects and in many cases a natural activity. E.g. Learning to walk, talk, recognize objects, interpret others' minds. But learning can also be difficult, effortful, and fail. This is especially the case when what has to be learnt are skills and knowledge our mind is not prepared to acquire: cultural knowledge (algebra, reading, contemporary dance). This is what education has been designed for. The better we understand the human mind, the better we can design educational interventions that mesh with the functioning of the mind: its strengths ad limits. 2. Additionally, in recent times, societal transformations have occurred that pose new problems to education. E.g. the information revolution has changed in many ways how we work, make research, communicate, and opens new opportunities for learning and education (new potential tools for education: computer simulations, e-learning). Some consider that the transformation of the industrial society and economy into the knowledge society requires new forms of education. But how? In the absence of past experience, tradition, and habits some ground is needed to take decisions about how to transform education and how to introduce “new technologies”. Moreover, even the ideas that shape the “old school” have never been tested scientifically. 3. We are not necessarily very good at using experience, observation and intuition to take good decisions in things that matter, such as education, or medical treatments. We thus need to find ways for fairly evaluating the outcomes of educational interventions in order to select interventions that work, on the basis of evidence and not of uneducated intuitions, experience, or tradition. We also need a theoretical framework for understanding evidence about what works, that is: why what works works; the study of the mind and brain can contribute to provide this framework. 4. Knowledge about the human mind has grown fast during the last 50 years, grossly after the so-called “cognitive revolution” (September 1956, MIT Symposium on Information Theory). The cognitive revolution consists in opening the black box of the human mind and looking inside rather than limiting scientific research to the observations of behaviors and environment. Claims that education should be reformed are not new: they are co-substantial to educational policies. Claims that education should be built on the grounds of scientific principles, and in particular on the grounds of knowledge about the human mind, are much more of a novelty, but are not as recent as the new learning sciences either. Psychologist such as W. James, E. Thorndike, J. Watson, J.B. Skinner have advocated the role of psychology in education all along the last century, and even before. So what is new in the new learning sciences, and what constitutes a heritage of older times? The first, big difference is certainly represented by the accumulation of knowledge that has been taken place during the last decades, namely after the cognitive "revolution" of the 1950s. This approach then allows to relate stimuli and behaviors, and eventually educational strategies, and learning outcomes, to the functions of the mind, then to make predictions that are impossible in the absence of such a theoretical framework. At the same time, accumulating knowledge about the workings of the mind is not enough for orienting practice, and in particular for establishing which are the best strategies for education. Problems of applicability and efficacy arise when trying to immediately apply theoretical knowledge to practical applications. Indeed, several risks and drawbacks threat the capacity of cognitive science to contribute to education. In order to fill the bridge between theory and practice, and to build robust, meaningful, applicable knowledge several steps have to be taken. The most important consists in the production of empirical evidence about what works in education. Empirical evidence is the ultimate bridge between theory and practice in education, as much as it is for medicine. Thence, the opportunity at looking at the evidence-based medicine approach, its strengths and weaknesses. The field of applied biomedical research has forged another approach that seems promising for orienting the workings of the new field of education and cognitive science: translational research, or "from bench to bedside, and from bedside to bench". It is possible for education and cognitive studies to take inspiration from these directions in order build a solid knowledge base upon which grounding decisions and practices. Pasquinelli, E. (2011). Knowledge and evidence based education; reasons, trends and contents. Mind, Brain, and Education, 5, 4, 186-195. Pasquinelli, E. (2013). Slippery slopes. Some considerations for favoring a good marriage between education and the science of the mind–brain–behavior, and forestalling the risks. Trends in neuroscience and education, 2, 34, 111 -121. Pasquinelli, E. (2013). Education Needs Science: Is Medicine a Suitable Source of Inspiration? In J.B. Laewen: Capacity Building and Development: Perspectives, Opportunities and Challenges. Nova Publishers. In 1998, the state of Florida passed a bill for day-care centers to play classical music to children. The same year, the Georgia Governor asked for $105,000 for the production and distribution of classical music to newborns. He did so because he had read that listening Mozart’s music can boost IQ scores. Too good to be true. The good news had been amplified by several newspapers, but they had their origin in scientific research developed in a psychology department. In 1993 Rauscher, Shaw, and Ky had measured the effects of listening at Mozart’s music on adults’ spatial capacities, compared them to listening at relaxing music and silence, and found an increase of 8-9 points on an IQ scale. Unfortunately, other laboratories have not been able to replicate the results, since, and the Mozart effect cannot be considered as evidence. Despite the absence of evidence, in 2004 80% of 496 people interviewed in California and Arizona were familiar with the Mozart effect; and products based on the Mozart effect© (a Don Campbell’s trade mark) are sold in millions of copies (Bangerter and Heath, 2004). It is worth adding that the paper originally published by Rauscher and colleagues does not even mention potential effects on children or long-term modifications (Chabris, 1999; Steele, et al., 1999). Which is the diffusion of misconceptions - like the Mozart effect - that negatively affect the scientific approach to education? Since these misconceptions are related to knowledge about the mind and brain, in the domain of education they are known as “neuromyths”. How do neuromyths originate, why do they persist in the face of opposing knowledge? Do they represent a risk for science-informed education? Which actions can be put fort for countering their (potentially negative) effects? Neuromyths can be generated by a variety of processes. Some neuromyths are distortions of scientific facts, i.e. stem from undue simplifications of scientific results. For example, research on hemispheric specialization and dominance has given rise to the myth that people are rather right- or left-brained, and that the balance between the two is a desirable effect, somehow not to be taken for granted; special forms of training are then proposed in order to bring the brain to an equilibrium (Geake, 2008; Goswami, 2008). Neuromyths can also be the offspring of scientific hypotheses that have been held true for a while, and then abandoned because of the emergence of new evidence. It is the case for the myth of the first three years, stating that learning depends on synaptic growth and that no other period is as good as the first three years of life for learning, because this is the limited window of time during which synaptic growth occurs. The myth fails taking into account recent discoveries about neuro-plasticity and the evidence for long-life learning as well (Bruer, 1997, 1999). Thirdly, myths can grow from the misinterpretations of experimental results, as in the case of the Mozart effect. In other cases – e.g., the myth that only a fraction, namely 10%, of our brain is currently used - it is harder to trace the relationship of the myth with (distorted, outdated, or misinterpreted) scientific results. The myth of the 10% might stem from considerations about the untapped potential of the human psyche (including unproven parapsychological assertions) or take inspiration from neuroanatomical considerations about glia-neuron rate, white matter-grey matter, or else (Della Sala, 2007; Lilienfeld, et al., 2010). What is sure is that the myth of the 10% participates to the more general shift from the mentalist vocabulary to neuroscientific jargon. In fact, what is typical of neuromyths, as opposed to other misconceptions about the mind, is that they have a special relationship with the science of the brain. Thus, neuromyths would not exist unless neurosciences had breached the perimeter of the scientific community, and reached the laypeople by the means of popular media. Withal, neuromyths seem to find a favorable ground in neurophilia: the appetite for brain news, as it will be discussed below. Another characteristic of neuromyths – one they share with other forms of scientific myths and urban legends – consists in the fact that they tend to survive the circulation of correct information, and to be inflated by sensationalist press releases. Consequential to the academic and public debunking of the Mozart effect, enthusiasm for the power of classical music upon adult intelligence has declined in the popular press, yet claims concerning its effectiveness on the baby mind have become more common (Chabris and Simons, 2009). The “meme” of the Mozart effect has spread to the point that the Japanese market now offers bananas grown with the help of Mozart music (the Mozart bananas) and sake brewed on the notes of classical music (Krieger, 2010). Neuromyths thus seem to enjoy the same resilience to change that affects naïve beliefs about the physical and biological world (Vosniadou, 2008), ideas and urban legends that “stick” independently from their truth (Brunvald, 1981; Heath and Heat, 2007), and, more generally, illusions. While illusions are robust characteristics of the human mind, however, neuromyths are submitted to cultural conditions – i.e., to the circulation of information and eventually of misinformation. The hypothesis can thus be put forward that the persistence of neuromyths has its roots in cognitive illusions and biases, but is sustained by specific cultural conditions, such as the circulation of pieces of information about the brain and the appetite for brain news. The "cognitive bases" of neuromyths makes it especially difficult to devise methods for countering them. One should concentrate on situations in which neuromyths represents a real threat to good education. This is the case, for instance, when misconceptions about the mind and brain are used to back educational strategies that are not proved to work (or proved not to work). What counts, really, is that neuromyths are kept under control when policy decisions are taken or applications devised. How? By having neuroscientists more involved in scientific mediation and more aware of the ethical issues related to the application and misapplication of their knowledge (Racine, et al., 2008); by privileging the dissemination of ideas that have survived the scrutiny of replication and the most rigorous standards of evidence over the broadcasting of fresh results and extraordinary claims. But above all, by establishing an effective collaboration – in the framework of a new translational research field - between education and mind and brain sciences, as an alternative to the import-export of ideas from one domain to the other. Pasquinelli, E. (2012). Neuromyths. why do they exist and persist? Mind, Brain, and Education, 6, 2, 89-96. Pasquinelli, E. (Forthcoming). La rencontre entre sciences cognitives et éducation : opportunités et pentes glissantes. Le cas exemplaire des neuromythes. P.A. Doudin, E.Tardif: Neurosciences et cognition: perspectives pour les sciences de l'éducation. De Boek (A paraitre). The human brain has not evolved to learn to read, but it has the potential to acquire an additional lexicon in a new modality (usually visual). Representations for visual forms of words progressively settle in the occipito- temporal cortex, recruiting for their own purpose a subset of a functionally appropriate object recognition region. These new functional areas have to connect with the existing lexicon in the temporo-parietal junction. In alphabetic writing systems, the acquisition of orthographic lexical items and their connection with phonological and semantic ones is greatly facilitated by the acquisition of sublexical relations between graphemes and phonemes: such orthographic-phonological conversion is likely performed by the posterior superior temporal gyrus. In developmental dyslexia, reading acquisition difficulties seem to stem from a specific phonological deficit comprising an impaired phonological awareness, leading to a poor ability to learn grapheme-phoneme correspondences. At the neural level, this may result from a dysfunction of the temporo-parietal brain areas, or of their underlying connections with orthographic representations. Cognitive studies are considered to be especially useful in order to produce a better understanding of specific learning difficulties, such as dyslexia, dyscalculia, dyspraxia, … But learning can be challenging also in the absence of specific learning disorders. Can cognitive studies contribute to devise strategies for overcoming learning difficulties and facilitate learning at large? Learning comes naturally to the human mind and, at the same time, it doesn't. Learning skills such as walking, talking, seem indeed to come naturally to the human mind: the brain is predisposed for them. Children spontaneously explore their environment, and produce knowledge about natural phenomena. They interact with adults and develop an understanding of social rules, mechanisms for learning from others in a non trivial way. So learning is natural. At the same time, many skills and contents of knowledge are difficult to acquire: we find them hard, effortful, we often fail. They often require special techniques for learning that go beyond individual experience, trial and error, or the exposition to social contexts and interactions. Education, as it takes place in formal and informal settings, is one of such special techniques. Scientific education and science learning is a good case study of how the joint action of natural learning mechanisms and of education can help overcoming obstacles to the acquisition of new knowledge - obstacles that reside, at least in part, in our cognitive functioning. It is also a good case study of how a better understanding of the human mind can help devising strategies for science education that mesh with the functioning of the mind, and provide a compass for orienting the practical actions of educators. It goes without saying that this not enough: strategies that mesh with the functioning of the mind still have to pass the test of empirical research aimed at assessing their effective efficacy. There is a widespread acceptance of the idea that critical thinking is a valuable asset and that it should be part of the curriculum at various levels of education. This idea goes back at least to John Dewey’s idea of teaching for reflexive thought, that is, of a certain form of critical, reflexive thinking as the very objective of education. Education to or for critical thinking entertains a special relationship with science education. In fact, science, and in particular the experimental method, implements the different operations of reflexive thinking, systematically. It thus represents for Dewey the model of education, to be applied to any discipline and subject matter since primary school. Nonetheless, at today's date, there’s no consensus about how to teach it, whether it can be learnt, and even about what is it. There are at least three main approaches to critical thinking: 1. philosophical, normative 2. cognitive psychology, descriptive 3. educational, pragmatic. The philosophical approach includes norms for spotting fallacies in arguments, an ideal view of the critical thinker and the setting of standards of good thinking. It focuses on reasoning, informal logic, and argumentation. The psychological approach has tended to focus on how people really think, namely on how experts think in their domain, and whether experts in different domains share skills and procedures that can be considered as general requirements for thinking critically. Skills and procedures are especially important in this view and definitions of critical thinking include lists of skills and procedures implemented by “good thinkers”. The educational approach deals with problems of transferability and generalizability: should critical thinking be taught as a general set of skills or procedures or norms, as embedded into a specific discipline, or both? Are there disciplines susceptible of indirectly training critical thinking? How can an expertise in critical thinking be developed? A report published in 1987 (Resnick 1987) expresses skeptical views about the possibility of teaching thinking through content-free lessons, and suggests abandoning the idea that general thinking skills can be taught as such. 20 years later, the same considerations are expressed by Daniel Willingham, in a review dedicated to teaching to think (Willingham, 2007). Programs for teaching critical thinking achieve at most their internal goals - students learn to solve the kind of problems they encounter in the program - but evidence is lacking that they extend this skill to other problems. It is suggested that thinking critically is not a general skill that can be learnt once and for all, but is strongly connected with domain knowledge. Thinking critically thus requires to become experts not just at thinking (Van Gelder, 2005), but at thinking in a certain domain. 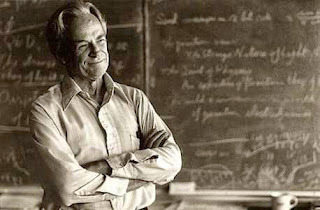 Several considerations (among which the fact that scientific educated people can still embrace pseudo-scientific views, and the so called "Nobel disease") also counter the optimistic view that science literacy and education automatically favor thinking critically in a variety of domains. Other considerations then come into play that are seldom taken into account in the debate about critical thinking. The first one concerns the motivational side of critical thinking. The second, two natural, complementary dispositions: the disposition to trust and take information from others, and the disposition to exert resistance and epistemic vigilance. It is possible that taking them into account will open new perspectives on critical thinking. A number of studies in education indicate the existence of a significant impact on the value of the teacher on student performance in the short and long term (impact on revenues, enrollment in college, socioeconomic status 20 years later). We are talking about the so-called "teacher effect". But the extent of this effect raises doubts (projects are underway to develop more sophisticated measures, including quantitative and qualitative) and no explanatory theory can account of it satisfactorily. Educational research has also dedicated much attention to cooperative learning (Slavin, 1996). It seems that group learning has positive effects on learners. But different forms of group learning are not all equally effective; also the positive effects do not affect each time the same results or the same classes of problems to solve. Finally, as in the case of the teacher effect, a satisfactory explanatory theory to account for the positive role of group work is still lacking. (the so-called "argumentative theory of reasoning purports to explain the effect, but takes into account only a particular class of groups and problems to solve). Another known fact related to teaching is the tutoring effect, known in education as "2-sigma problem", since the study published in 1984 by Paul Bloom, which shows the existence of a positive effect with 2 standard deviations tutoring 1: 1 compared to other forms of education. Although in this case the effect appears to be stronger and confirmed, we still found ourselves in the absence of a satisfactory explanatory theory. The question therefore arises of how to identify and characterize "good teachers" and effective teaching and to explain the effect that teachers seem to have on learning. What makes a good teacher (or a bad one)? Is it only a matter of knowledge, of mastery of the content taught? Of pedagogical knowledge (how to teach a certain content)? Or other cognitive qualities of the teacher count, too? Besides, we seem all to have intuitions about "what works in education", what learning is, and how to promote learning in others (teach). Do we have good insights on education? Can we trust them? Are there any teaching practices that would cons-intuitive yet effective? Cognitive science should be able to provide answers to these questions, and thus contributing to education, on the side of the teacher. But how? First by demonstrating, as is the case for the naive theories of mind (folk psychology), the existence of naive theory of what learning and teaching (Strauss, 2001; Olson & Bruner, 1996). And by measuring their role and impact upon styles and strategies of teaching that are more or less effective. Then by studying in an objective, quantitative, experimental fashion the cognitive abilities involved in education: teacher cognition. - The debate on the specifics of cultural transmission and social cognition in humans (cultural learning) (Tomasello, Kruger, Ratner, 1993, Tomasello & Herrmann, 2010, Tomasello et al 2005, Herrmann et al, 2007). - Studies on the different forms of social learning and cultural transmission among primates and other taxa (Byrne, 1996, Whiten 1999, 2000). An turn point in the "history" studies about teacher cognition is represented by the functional definition of teaching made ​​by Caro & Hauser (1992), which extends the concept of education beyond the human and owning an explicit ToM and advanced metacognitive abilities and general "big brains", and paves the way to studies on teaching in different taxa (meerkats, ants tandem, ...) (Hoppitt et al 2006, Thornton & Raihani 2008 Thornton & McAuliffe 2006 Laland & Hoppitt 2003 and 2007 al Richardson, & Franks. , Richardson 2006). These studies contrast notably with the "traditional" approach to teacher cognition, which sees teaching as a specifically human capacity - a willing, flexible, sophisticated form of transmission of knowledge, therefore based on ToM and metacognition (Olson & Bruner, 1996, Galef 1992 Premack & Premack 1994, 1996, Tomasello 1994, 1999). A further novelty in the panorama of the study of teacher cognition is represented by the theory of natural pedagogy (Csibra, 2007 Csibra & Gergely, 2006, 2009, 2011), which proposes the existence, in humans and humans only, a sort of instinct teaching, coupled with an instinct to learn from other cospecifics, based on a system of basic communicative signs and do not require reflection. The issue of the cognitive bases of education is therefore still open, and many questions await for an answer. What skills are needed to teach? Are there different forms of teaching, which are based on a pool of different capacities? Eg education with advanced ToM, ToM education with basic education without ToM? Do children teach? Under which conditions? What are the cultural variants of education, within the human species? Is there a specific form of "teaching disorder"? Are there cognitive disorders that are positively or negatively associated with the ability to teach (autism, psychopathy)? Why do we teach? Is it an adaptation? To what type of evolutionary problems this adaptation is meant to provide an answer? Is teaching an altruistic behavior that favors the learner at a cost for the teacher? Or are there cognitive or adaptive advantages in teaching that might have contributed to its evolution? Skerry et al. (2013). The origins of pedagogy : Developmental and evolutionary perspectives. Evolutionary psychology, 11, 3, 550-572.